Now for a limited time you can have The Elvis Interviews shipped to you free anywhere in the world when you purchase through this site. 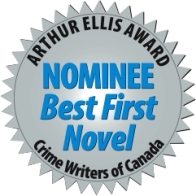 Crime Writers Canada has shortlisted The Elvis Interviews for the 2007 Arthur Ellis Awards in the “Best First Novel” category. Glen has posted a video intended to dispel any confusion that may have arisin regarding his true identity! If you like good, old fashioned storytelling, full of twists and turns and liberal doses of Elvis infused adventure, then you will love The Elvis Interviews. …a great yarn that screams to come to the big screen. 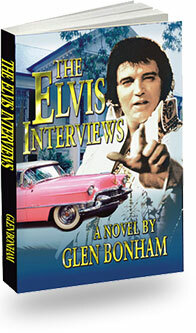 The Elvis Interviews brilliantly unfolds like a movie in your mind. You not only read the book you SEE it come to life. I suggest you read it with popcorn.